The East Coast has some of the best culinary schools in the nation. With a booming tourism industry and one of the largest restaurant scenes in the world, the East Coast is a place where culinary professionals are in demand. The popularity of cooking shows such as “Hell’s Kitchen” and “Cake Boss,” make it look easy to be the next big thing…but the reality is that it takes a significant amount of training and education to be successful in the industry. 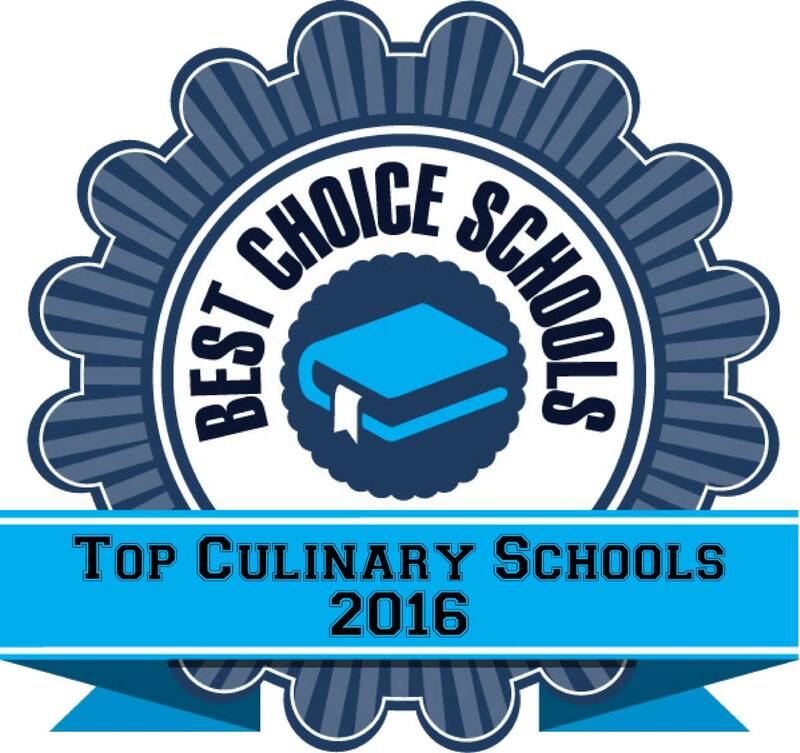 We created a list of the top 20 best culinary schools on the East Coast for 2016. We looked at schools from Maine, Massachusetts, New Hampshire, Rhode Island, New Jersey, Connecticut, Delaware, Maryland, Virginia, New Carolina, South Carolina, Georgia, Florida, and New York. In order to be considered for inclusion on our list, schools needed to offer hands on training, a variety of program options, externship opportunities, and have a solid reputation in the field based on our research. 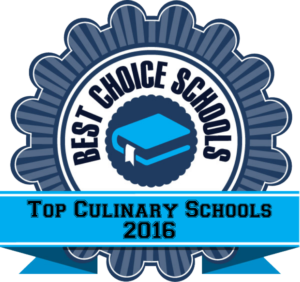 Below is our list of the best East Coast culinary schools. The Hospitality Management and Culinary Arts Department at County College of Morris offers a variety of culinary programs for students interested in almost any area of culinary arts or management. CCM features individualized kitchen workstations for students to gain hands-on experience. The Hospitality facility includes large meeting and event areas, allowing students to practice working with large groups of people. CCM has articulation agreements with several four year schools to enable students who want to continue their culinary education to transfer their credits. CCM is a member of the National Restaurant Association Educational Foundation and the American Culinary Federation. The Hotel, Culinary Arts and Tourism Institute at the Anne Arundel Community College is a top culinary school offering several associate degree programs for those interested in the field of culinary arts. Students have a variety of exciting opportunities at HCAT Institute including completing an Italian Culinary Internship opportunity or joining a professional student club or competitive team. Three different associate degree options and seven different credentials are available to students. The AAS Culinary Option is accredited by the ACF and the Hospitality Business Management program is accredited by the Accrediting Commission for Programs in Hospitality Administration (ACPHA). The HCAT Institute associate degree programs are accredited by the American Culinary Federation Foundation’s Accrediting Commission and the Accrediting Commission for Programs in Hospitality Administration. Stratford University is a top culinary school offering state-of-the-art kitchen facilities and small class size to provide individualized attention. Students learn their trade as well as critical thinking skills to develop culinary leaders. Courses are offered on a flexible schedule allowing students to continue working while advancing their careers. Both of the associate degree program in Advanced Culinary Arts and in Baking and Pastry are accredited by the American Culinary Foundation. Faculty and staff are recognized global leaders in the industry. The Culinary Institute of Charleston at Trident Technical College has been training culinary professionals for over 25 years. This top culinary school offers state-of-the-art facilities at two campus locations, allowing students to train on the latest and greatest kitchen equipment. CIC offers Associate degree programs in Baking and Pastry Technology as well as Culinary Arts. CIC also offers certificate programs and cooking classes for the community. Students are able to demonstrate their skills and techniques at two student-run restaurants located on campus. Relish Restaurant is a contemporary restaurant serving creative cuisine. 181 Palmer is located at the downtown campus and features a bright and bold décor. Students serve a three-course prix fixe menu. The Culinary Arts program is accredited by the American Culinary Federation Education Foundation. The Culinary Institute of the Carolina offers a top accredited culinary arts program with state-of-the-art facilities. Students have the opportunity to learn hands-on culinary techniques in labs that include five kitchens and an ice carving room. Students can also use the latest equipment such as programmable combination ovens and blast chillers. The majority of courses are offered in the evening or on the weekend so students may work while they are going to school. Certificate programs are also offered for students looking to advance their education in a specific culinary area. Central Piedmont Community College is one of the top culinary schools in the country, offering a Culinary Arts program that is accredited by the American Culinary Federation Education Foundation Accrediting Commission. CPCC features state of the art equipment and a mixture of learning delivery methods including classroom, lab, and on the job. Students learn how to select quality ingredients for their culinary creations and prepare exceptional entrees and dishes. CPCC also features a low student-faculty ratio for more individualized attention. Delaware Technical Community College is a great choice for students passionate about cooking and baking. This top culinary school offers hands-on cooking coursework and classroom lecture experience for a well-rounded education. The associate degree programs are accredited by the American Culinary Federation Accrediting Commission. The Culinary Arts program is part of the Connected Degree program that transfers to a four-year institution, allowing students to start at an approved four-year institution with a junior standing. The International Culinary School at the Art Institute of Fort Lauderdale offers a diverse culinary program with coursework covering international cuisine including Classical European, Latin, American Regional, Asian, Spanish, and African. Students in the program have the opportunity to study their trade overseas. Students learn essentials such as nutrition, operations management, planning, and culinary techniques. Culinary students can participate in exciting experiences such as culinary competitions or special events in the area such as the “The Obies: A Taste of South Florida.” The student-run restaurant, Chef’s Palette Café and Grill, provides a real-world training lab for students to showcase their talents. The Lincoln Culinary Institute offers an in-depth culinary training program that is accredited by the American Culinary Federation Education Foundation Accrediting Commission. Students learn both food preparation techniques as well as the broader culinary industry. Students interested in the management aspect of culinary arts can pursue a Bachelor’s degree in Culinary Management. The AOS degree programs in Culinary Arts and International Baking and Pastry are run by experienced faculty, many of whom are Certified Baster Bakers, Certified Executive Chefs, and Certified Culinary Educators. The on-campus café, CP Express, allows students to practice and perfect their culinary skills in a professional work environment. Hillsborough Community College offers a variety of associate degrees and certificate programs in the culinary arts. Students can enter the program with absolutely no experience and will be taught everything they need to be successful. Students learn culinary skills and techniques in a hands-on learning environment in state-of-the-art kitchens. HCC constantly updates their program to keep up with the latest in culinary technology. Students have the opportunity to gain hands-on experience at The Gourmet Room, a fine dining establishment run by students in the culinary and hospitality program. The International Culinary School at the Art Institute of Atlanta offers American Culinary Federation accredited culinary arts programs. Students interested in culinary management can pursue a Bachelor’s degree in Food and Beverage Management. The program blends culinary and management skills to develop knowledgeable leaders who can work in a variety of positions such as kitchen managers, banquet chefs, and purchasing managers. Students have the opportunity to demonstrate their skills and gain professional experience in the student run “dining lab” on campus. Creations Restaurant is open to the public and allows students to work under supervision to learn everything from guest seating and hospitality to cooking. This top culinary school also offers certificate programs to students already working in the field. Students with experience but lacking professional training can benefit from diploma programs in baking or culinary arts. The Culinary Institute of Savannah at Savannah Technical College offers a top culinary program with an appropriate blend of culinary theory and hands-on application. Both the AAT program in Culinary Arts and the AAT in Culinary Baking and Pastry Arts are hands-on programs requiring an extensive amount of time in the kitchen. Award winning faculty includes Chef Jean Vendeville, the American Culinary Federation “Chef Educator of the Year” in 2014. Graduates are prepared to work as cooks, bakers, or culinary managers. Atlantic Cape Community College operates the Academy of Culinary Arts, offering a variety American Culinary Federation accredited culinary programs. More students attend the Academy of Culinary Arts than any other culinary program in the state. Students have the opportunity to work at Careme’s Restaurant, a student-run, on-campus restaurant serving lunch and dinner. Strudels, a student run retail store, sells excess breads, pies, and pastries. Farm-to-table principles are taught at the on-campus organic greenhouse and herb garden, allowing students to plant and harvest fruits and vegetables. ACCC is affiliated with the National Restaurant Association Education Foundation and the National Restaurant Association. Hudson County Community College Culinary Arts Institute (CIA) is one of only a few programs in New England to be accredited by the American Culinary Federation Educational Foundation. Students have the opportunity to develop their culinary skills in a 72,000 square foot facility with modern kitchen equipment as well as a fish-and-butchery room and ice sculpting studio. The CIA library has over 4,000 cookbooks in its collection. Graduates not only have the skills needed to be successful cooks and bakers, they are also successful business professionals. Keiser University Center for Culinary Arts offers accredited culinary programs at all three Florida locations including Melbourne, Sarasota, and Tallahassee. Students have the opportunity to learn in state-of-the-art kitchen laboratories that are equipped with the latest in kitchen technology. Students complete a 12-credit hour culinary arts externship at the conclusion of the program. This top culinary arts program has received acceptance into the World Association of Chefs Societies (WACS) as a quality program. Manchester Community College offers American Culinary Federation Educational Institute accredited culinary programs. Students in the Culinary Arts program complete a 300-hour cooperative work experience at the conclusion of the program. This top culinary school offers flexible programs that can be completed on a full or part-time basis, with classes offered during the day or in the evening. Participation in a culinary club can supplement classroom study and help develop a professional network. Students in the Food Service Management program can also work on a dual degree in Hotel-Tourism Management or Culinary Arts to gain additional education and experience in the industry. The Institute for Culinary Education (ICE) in New York is an award winning culinary school offering a wide variety of diploma programs. ICE received the Culinary School Award of Excellence in 2015 by the International Association of Culinary Professionals. Chef Instructor Chris Gesauldi, received the “Culinary Educator of the Year” award from IACP in 2015 as well. Over 11,000 students have gone through culinary programs at ICE and over 93% of those alumni would recommend the program. ICE also has a Career Services department dedicated to helping graduates find employment. Career Services hosts career fairs and networking opportunities to keep graduates moving forward in their career. The Culinary Institute of America in Hyde Park, New York is probably one of the most recognized culinary schools in the nation. CIA offers culinary degrees at all levels to meet the needs of culinary professionals. There are over 170 chef-instructors and professors at CIA (across three campuses), many of whom are award winners, authors, or area experts. CIA operates several esteemed student run restaurants including the American Bounty Restaurant, The Bocuse Restaurant, and the Ristorante Caterina de’Medici. Students will complete over 1,300 hours of hands-on learning in state-of-the-art kitchens and bake shops during the course of their culinary program. CIA has one of the largest network of alumni with over 48,000 members. Johnson and Wales University is an industry leader in the area of culinary arts education. It has one of the most extensive offerings of bachelor and associate degree programs in the culinary arts, offering standard, accelerated, and weekend programs. The average student-faculty ratio is only 18:1, ensuring that you will receive individualized attention from faculty and staff. Johnson and Wales views culinary education in a holistic manner, considering the art, science, nutrition, and medicinal value that our food (and the preparation of food) provide. Students at Johnson and Wales learn by doing, not mere observation, giving them an edge over the competition.